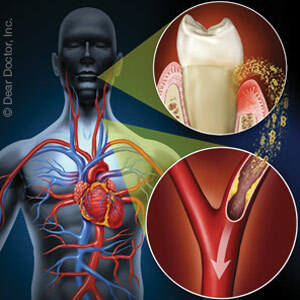 Are you one of the over 178 million Americans who is currently missing one or more teeth? If so, chances are you want to have your tooth replaced as soon as possible. After all, your teeth aren't just used for chewing. They are also essential for speaking, smiling and putting your best face forward every time you meet someone new. Thankfully, whether you are missing one tooth or many, you have several options available to you when you visit Adel Mansour, D.D.S. at Central Florida Cosmetic & Family Dentistry in Kissimmee. A caring and professional dentist with your best interests at heart, Dr. Mansour will help you find the option that is right for you. For people with multiple missing teeth, dentures may be a good option. Dentures are a removable tooth replacement option that allow you to eat, speak and smile with confidence, knowing that your smile will always look great. Dentures need to be replaced by your Kissimmee dentist every five to seven years on average to ensure a proper fit. A semi-permanent tooth restoration option, bridges replace missing teeth by suspending them between the two teeth on the surrounding sides. Bridges are not removable, but they do need to be replaced every five to fifteen years. The gold standard of tooth replacement, dental implants provide a long-lasting, durable and reliable option. 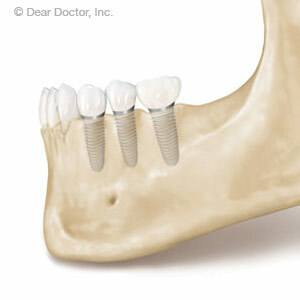 Dental implants replace one or more missing teeth by attaching securely to the jaw bone. 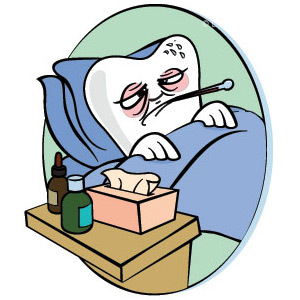 The result is a new tooth or set of teeth that are up for anything. Smile, kiss, chat and enjoy all of your favorite foods once again; your dental implants can handle it. With dental implants, you can eat anything you want - there are no restrictions and you don't have to worry about breaking them or knocking them loose. Dental implants are not removable, so you don't have to take them out to clean them, and they don't require any special maintenance or cleaning products. Plus, dental implants are permanent. Take good care of them and they will last a lifetime. No matter how many teeth you are missing or why they are gone, you deserve to look and feel your best. Call your Kissimmee dentist, Dr. Mansour, to find out more about your tooth replacement options and which one might be best for you today.